Source：Dongguan FanBlower Electric Co,. 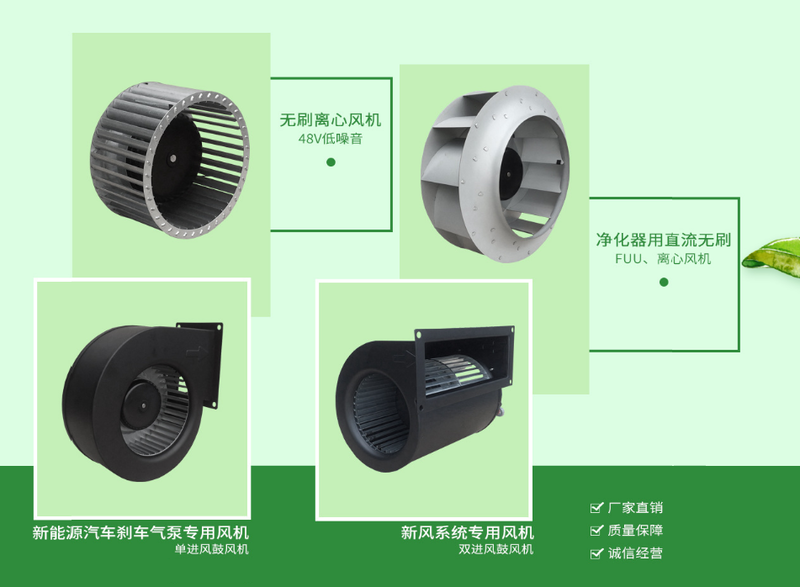 Ltd.
We are a manufacturer of fans and blowers from Dongguan China.Our FANS and BLOWERS are high quality. the price is competitive! Welcome to visit us and become our Distributors! We are not good at selling but only manufacturering! Main products are all kinds of DC Brushless Fans, including Centrifugal Fans, Duct Blowers, Axial Fans, other Industrial Ventilation Fans and relevant Parts, widely and successfully used in fields including radiator equipment, air purifier, new air system, building's ventilation system, dryer,the heater-fan for boilers, humidifier,street sweeper, electric sweeping machine,LCD AD player, fan filter unit,rail transit train, radiating system of car, brake pump of car and so on.The factory offers OEM service, design service and buyer Label as well. One of the most attractive point about our fans, is long life expectance, 60,000 hours continuous operating at 40ºC, even wholely working in water after special treatment. All products are guaranteed of high quality with high efficiency, low noise, long working life and safety running features based on our strong strength in technology. machines, all are the reasons that more and more customers trust us.